Thank you for your huge interest in the Osaka Castle Triathlon 2019! You will receive an email with your result by Friday, May 24. (GMT +9, Japan time) We wish you all good luck for the drawing! Please note that the following schedule may be subject to change. Check back to see the latest information. The following entry information is for OVERSEAS age-group participants only. 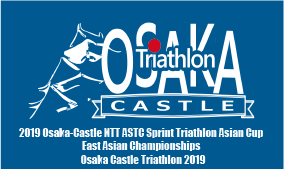 Osaka Castle Triathlon 2019 online registration to enter the drawing will open on April 4, 2019.The link to entry form will be available in this location at 5:00 PM (GMT +9, Japan time). Standard Online registration for the drawing will CLOSE on May 19th, 2019. The results of standard category drawing will be announced by email by May 24th. Drawing winners MUST complete payment in order to be officially registered in the race. Payment MUST be completed by May 31st, 2019. Sprint Online registration for the drawing will CLOSE on May 31st, 2019. The results of sprint category drawing will be announced by email by June 14st. Drawing winners MUST complete payment in order to be officially registered in the race. Payment MUST be completed by June 21st, 2019.